Eragy’s Energy Monitoring Plus application empowers homeowners to identify specific areas of energy savings. Eragy, Inc., a leading provider of smart home software applications and services for home energy management and monitoring, today announced a second generation version of the company’s home energy monitoring application and service. Eragy’s new energy monitoring software, Energy Monitoring Plus, coupled with a Control4® home automation system and eGauge home energy monitor, enables homeowners to save up to 20% or more off their monthly electric bills. Eragy’s latest application allows consumers to monitor the details of their energy consumption to best understand how they can reduce their energy bills. Energy Monitoring Plus provides homeowners the ability to monitor both their whole house energy consumption as well as energy used by individual appliances and circuits within their homes. 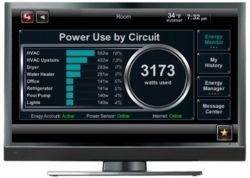 Homeowners can conveniently monitor their energy usage from their TV screen, iPad, Control4® touch screen, smart phone, or web browser, providing consumers with numerous options for monitoring and managing their energy consumption. Eragy’s Energy Monitoring Plus application and service will be available next month from Control4 dealers throughout North America via Control4’s 4Store™ Application Marketplace. 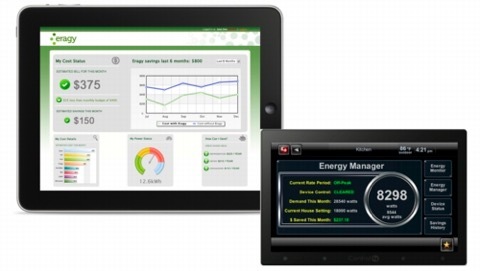 Eragy’s application and service is priced at $249 (MSRP) and includes the Energy Monitoring Plus app, Eragy software driver, and 12 months of monitoring service via the Eragy.com consumer web portal. Like Eragy’s current home energy monitoring service, Energy Monitoring Plus also includes a number of proactive alerts and notifications that provide users with real-time information on their energy consumption and system health via email and SMS/text messages. Eragy, Inc. is a leading provider of smart home software applications and services. Eragy’s initial services include home energy monitoring, intelligent home energy management and smart home system monitoring. Homeowners can conveniently access Eragy services from their TV screen, iPad, touch screen, smart phone, or web browser. Users can achieve energy cost savings of up to 30% per month. Eragy enables its dealers to generate recurring revenue via energy monitoring and management and smart home monitoring services. For more information please visit www.eragy.com.